Chapters restaurant at Zabeel House by Jumeirah in Dubai is not your normal lobby lounge. 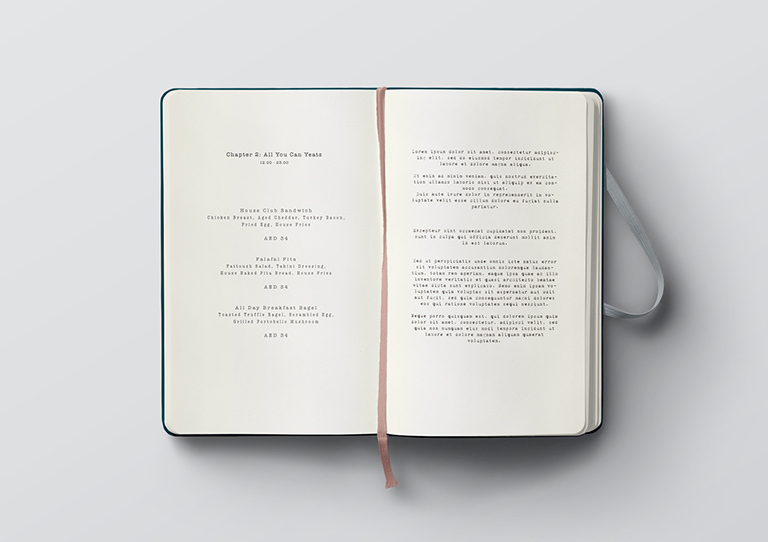 Here, guests are invited to settle in with one of the many books within the venues library, lose themselves in a good story, or even write their own. Each hotel has their own lobby lounge – a venue within the hotel that is typically a waiting area and meeting point. They are where hotel guests meet before heading out for the day, and where informal meetings are held. We were tasked by the Jumeirah Group to create a unique and evocative name and brand identity for the restaurant while also creating a theme that set it apart from other lounges. By giving the F&B outlet a theme and identity, we were able to to turn a standard hotel lobby lounge into something more than just a simple meeting point. And that’s where the idea of Chapters stemmed from – lounges are where individuals meet, catch up and exchange stories about their own lives. They are places where business men and women get together, discuss opportunities, plan and write new chapters in their own ventures. We wanted to take this idea and turn it into a brand that people could relate to, connect with and spend time with. 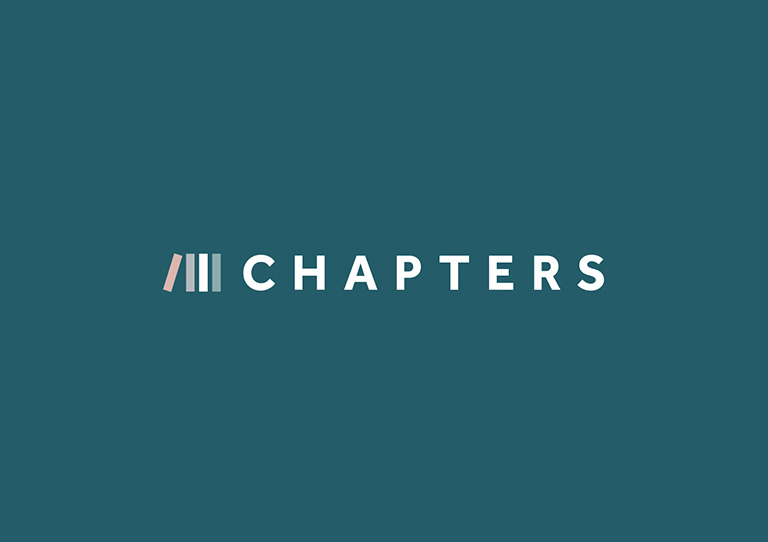 Chapters – the brand name given to the venue captures everything that we wanted the place to become, a place where stories are born, shared and retold. Our task then became to bring this idea to life. 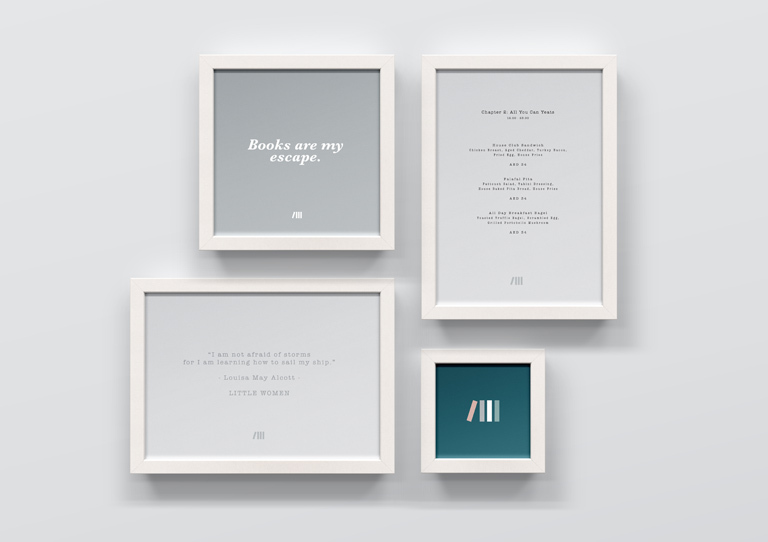 Large bookshelves lined with novels further build on the brand idea, while colors were selected to support existing uniform materials and tableware. 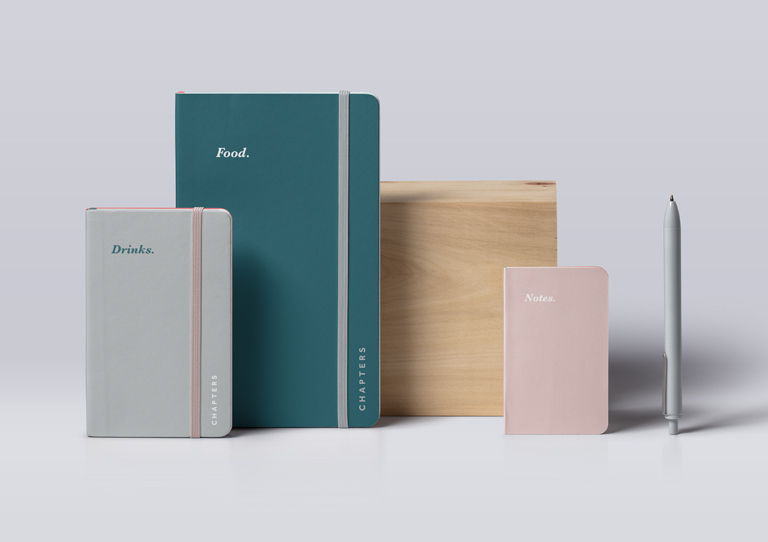 Menus and bill folders were designed to mimic hardcover novels, note books and sketch pads, while messaging for the brand was brought through into every aspect of the brand experience. Chapters is a simple brand that, while delivering on its own unique brand experience, lives comfortably within Jumeirah’s unique new offering of Zabeel House at Al Seef.